Australia has recently brought some changes to its Permanent Residency Visa policies. It has left a huge impact on Immigrants due to the skilled occupation lists and state nomination criteria. They were left shattered because of the abolition of 457 Visas. Also, the point’s threshold has been increased from 60 to 65. As a result, the skilled Immigrants are now struggling to get Australian PR. This, in turn, gives rise to a question in them – Is immigrating to Canada an option? Canada with its Express Entry scheme has opened the door to Permanent Residency for Skilled Immigrants. Skilled, experienced Immigrants can make Canada their permanent home. 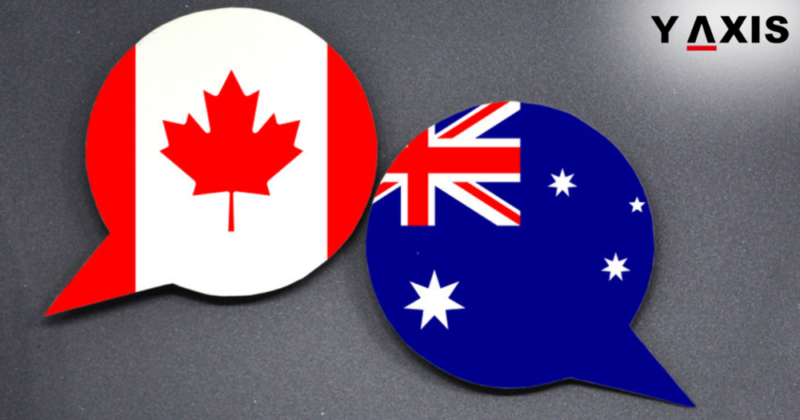 Canada’s skilled Immigration program is a points-based system like that of Australia. It is for experienced and Skilled professionals. Ever since changes have been made in the Australian Visa system, Immigrants are turning to Canada. Migration experts have confirmed the same. Usha Rajesh, the Y-Axis Immigration Expert has told SBS Punjabi that clients are worried due to the recent changes. The Australian PR Visa sector has seen huge changes in the last two years. His clients are fretting about their prospects in Australia. Ms. Rajesh added that they are now aiming for Canada instead. Ms. Usha insisted that Canada’s Skilled Immigration program is not different from that of Australia. However, certain occupations are in high demand in Canada. For instance, the transport industry is emerging to be one of the most promising opportunities in Canada. Skilled truck drivers should avail of this opportunity, he added. According to SBS Punjabi, the Australian PR Visa changes would reduce the rate of Skilled Immigrants in the country. It has shattered their dream of Permanent Residency. The Immigration Expert added that Canada has Express Entry program for Immigrants. It is for them to settle in Canada permanently. It would enhance the country’s economy. She further said that aspiring Immigrants should check if they meet the criteria for Express Entry. The Provincial Nominee program in Canada would help them fulfill their dream of Permanent Residency in Canada. Canada has a variety of jobs to offer to those who are willing to migrate, concluded Ms. Usha.